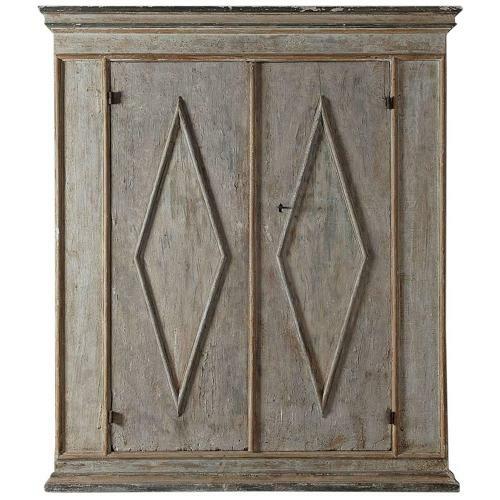 An exceptional 18th century Tuscan cabinet in original paint. Perfect in a hallway, office or dinign room. Wonderfully flaky but stabile patina. Back probably replaced in the 19th century. A timeless piece.